Top your boots off with these darling boot cuffs. With just hint of girly ivory lace and buttons. These are perfect with any and every type of boot you think of! We LOVE them with leggings! Fashion leg warmer cuff, layering without bulk, a perfect gift to yourself or friends. I received a complimentary pair of the Cable Knit Lace Boot Cuff Topper Socks in exchange for my honest opinion and review. I chose to receive the red pair; they also are available in black and brown. The sock toppers will change an outfit to either casual or dressy, and depending on the fit of your boot they can be worn with the lace up or down. The topper is one size fits all, but if you have large legs they may not fit you. I can wear them easily over thin socks or tights, but not over anything bigger like jeans or leggings. The quality seems great, and haven't had any problem with them slipping. I ordered my pair from Amazon, and they arrived within a week. Today we introduce one of our (Happy Green Baby) favorite eco-friendly brands: Babysoy! Babysoy was the first to introduce a collection of newborn wardrobe items using the soft & natural azlon soybean protein fiber. Babysoy was founded on the hope of providing an affordable baby layette line of the highest quality. The founder of Babysoy came across soy from azlon (protein fiber extracted from soybean) and began his journey. Babysoy's mission is to continue bringing quality green baby clothes, at an affordable price, to eco-conscious parents. Babysoy offers a full line of modern, eco and organic baby onesies, socks, hoodies, bibs, blankets, mittens & more. Their line is designed to easily mix-and-match from head-to-toe. Each piece is designed with an appreciation and care for our mother nature in mind. Babysoy's baby layette line is designed by designer/mom, Amy and approved by daughter Harper. Using simple and fresh designs, babysoy has created a sustainable and modern baby wardrobe for eco-babies without sacrificing comfort or style. They started off making products with nature's own ingredient - soybean protein fiber (Azlon) and have added other eco-friendly fibers such as organic cotton and rayon from bamboo. It is about recycle, reduce and reuse soybean pulp to create baby's first wardrobe. One of our favorite collections is the Janey Baby Collection. This is collaboration between Babysoy and Jane Goodall Institute, which feature whimsical drawings of endangered species. This style uses high yarn count, organic cotton + bamboo fiber, to provide superior softness and silky surface. Artworks are printed with water-based ink. Proceeds from each sale benefit the Jane Goodall Institute and its programs. Babysoy uses long-staple cotton also known as Sea-Island cotton, which helps to build a longer lasting fabric structure. Babysoy’s baby and tots line are sustainable and eco-friendly. This is because soybean fiber is a textile that is made from recycled material and it does not add any extra burden to mother nature. All snaps and zippers are made by world-renowned YKK and are nickel-free, making dressing-time safe and easy. Their products are NOT treated with any fire retardant chemicals. Babysoy is a quality company, providing quality eco-friendly clothes, at a quality price. We know Babysoy will become one of your favorite brands just like it is one of ours at www.happygreenbaby.com. Checkout their website for more information on the benefits of Soy Fiber: www.babysoyusa.com. Bring home something for your baby that you can be proud of, and/or show up to the next baby shower with a eco-friendly, savy gift everyone will go crazy over! Enjoy 10% OFF your next order at www.happygreenbaby.com. Enter HGB10 at checkout. The Yogi Clothing Dip Rain Wash Maxi Dress has a honey comb pattern on the top. It has a plunging neckline and racer back. The bottom of the dress has this cool tie-dye wash to it. IThe dress has a wide banded empire waist line. Find out more through Mommy Lesson Plan's Yogi Clothing Review. Dads are very special and there is now an entire site dedicate to them. Daddy Scrubs! This site has book,s shirt, scrubs, and so much more. Their Daddy Ties are adorable and fun. 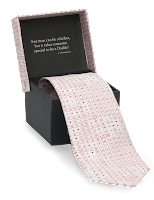 The Word Search Tie is a great way to bond with dad while finding all the wonderful words that describe him on his tie. Find out more about the Daddy Tie. Enter below to win a Daddy Tie (valued at $29.95). Jenn, Mom Of Two Munchkins and Happy Green Baby, LLC. are not responsible for shipping of prize. Daddy Scrubs has the sole responsibility for shipping of prize. Prize value is approximately $29.95. 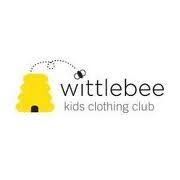 Have you heard about Wittlebee? We all know that kids outgrow their clothes at an insane rate and it is a pain to got to the mall to get new ones. If you are a parent you know what I mean. But don't worry Wittlebee has us covered. They send out monthly boxes with 6 items each (they choose 3 items, you choose 3) of brand new, never before worn clothes for your little one. They clothes are super cute! My daughter loves to get her box in the mail. Check out my Full Review. Jenn, Mom Of Two Munchkins was provided with a free sample of this product to review, and was under no obligation to review it. Nor was Jenn, Mom Of Two Munchkins under any obligation to write a positive review or sponsor a product giveaway in return for the free product. Happy Green Baby, LLC. is not responsible for shipping of prize. Wittlebee has the sole responsibility for shipping of prize. Prize value is approximately $39.99. Enter to win a $20 gift code to KidsAndJeans. We all know that kids jeans can be expensive and kids grow out of them quickly. It seems like every time I turn around I have to buy new jeans for my kids. KidsAndJeans has us covered though. They sell new and used kids jeans at great prices! Read Full Review. Jenn, Mom Of Two Munchkins was provided with a free sample of this product to review, and was under no obligation to review it. Nor was Jenn, Mom Of Two Munchkins under any obligation to write a positive review or sponsor a product giveaway in return for the free product. Jenn, Mom Of Two Munchkins and Happy Green Baby, LLC. are not responsible for shipping of prize. KidsAndJeans has the sole responsibility for shipping of prize. Prize value is approximately $20.